Although Jennie Nicol was not able to attend the very first meeting of I.C. Sorosis or the signing of the constitution at the Holt House, she did spend ample time at the Holt House. Her best friend, Emma Kilgore, lived in the Holt House during her time at Monmouth College. 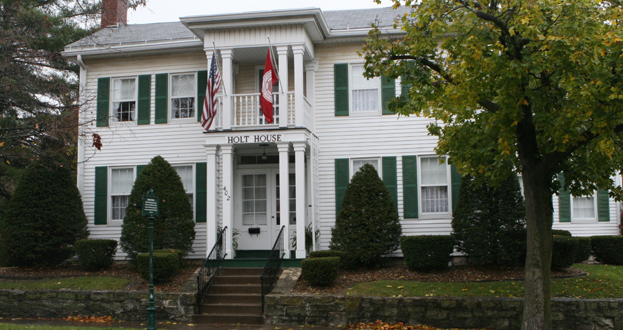 The Holt House, located at (402 E 1st Ave, Monmouth, IL 61462), was the home of the mayor of Monmouth in (1875-75,1876-77). During this time there were no dormitories on Monmouth College's campus, so students had to find housing off campus. 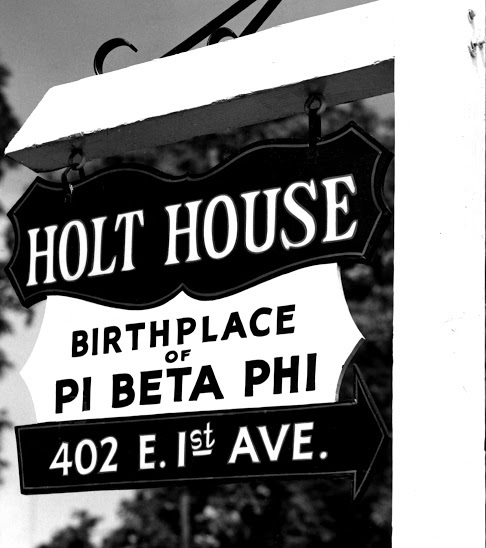 Mayor Holt rented two of his rooms to Monmouth College students including two founding Pi Beta Phi founders. It was in these girl's room that the original Pi Beta Phi constitution, then I.C. Sorosis, was signed and where their organization held meetings. In 1940, the Holt House was bought by the next door neighbor and donated to Pi Beta Phi who still owns the house in Monmouth today. This image of the Holt House, located (insert street address) was the home of a mayor of Monmouth, Major Holt. During his time in the house, he rented out a couple of rooms to college students in a time before dormitories were a norm. It was at this house that Pi Beta Phi was founded. 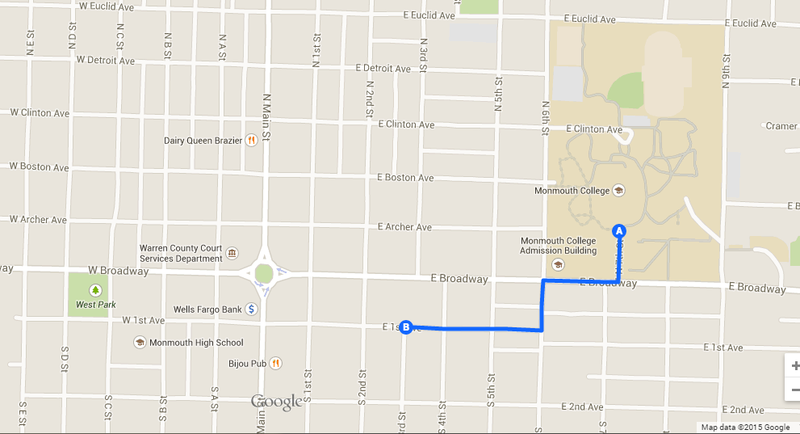 This map shows the convenient location of the Holt House relative to the Monmouth College campus today. It is also noticeable how close to the town square it is positioned.